Our director, Claude Whatham had a problem. Despite two attempts he had failed to shoot the key scene when the Swallows, who had just arrived at Holly Howe, discover the Peak at Darien and look out over the lake to spot Wild Cat Island for the very first time. He saw it as crucial to the motivation of the story. Claude had shot the sequence of us running down the field at Bank Ground Farm in the evening light. He had what would technically be called our POV (point of view) of the island. He had nothing in between. There was no dialogue but without the right light the sequence would not cut together. And now it was raining, endlessly. We waited around all day, yet again, hoping for the weather to clear. It did not. I can’t believe that we went, what would now be termed, wild swimming in the Lake District after making such a fuss about recording the swimming scenes at Peel Island. Even if it was raining the water must have been fairly warm. I don’t suppose we were in for that long. I’m now rather shocked that we dried our hair by sticking our heads out of the windows of the mini-bus. We could have all been decapitated. Two of these tiny photographs show us sitting in the Grizedale Forest with Wilfred Josephs who composed the music for Swallows and Amazons. He had visited us on location when we were shooting the charcoal burners scenes. If I blow up this tiny photograph you can see a little more of him. What Wilfred soon discovered was that, apart from Lesley Bennett, we were all pretty useless at holding a tune. Whatever was recorded on that day near the charcoal burners’ hut never made it to the final sound track – or even the LP that EMI brought out to accompany the movie. Mum was thrilled to meet Wilfred Josephs. He was fantastically talented, with a huge list of credits to his name. Born in 1927, he qualified as a dentist at the Universtity of Durham ~ where I also studied ~ before becoming a full-time composer in the early 1960s. His career was launched when his Requiem in memory of the Jews who were lost to the Holocaust won La Scala. He went on to compose 12 symphonies, 22 concertos and was commissioned to write a number of overtures, ballets, operas and other vocal works. In the field of television he is perhaps most well know for producing the theme music for I,Claudius, Enemy at the Door, The Prisoner and Pollyanna. He worked for Claude Whatham on the movie score for All Creatures Great and Small that starred Anthony Hopkins and Simon Ward, as well as the television drama W.Somerset Maugham and the serial Disraeli, which Suzanna Hamilton appeared in. In the early 1970s Wilfred had also composed the theme music for Claude’s BBC play of Laurie Lee’s auto-biography Cider with Rosie, which Sten and I had acted in. Wilfred Josephs sadly died at the age of seventy, but I found that someone has put his haunting composition for Cider with Rosie onto YouTube. It was so good to hear it again. It comes with colourful cider-making images but – unless passionate about cider – you can have a look at more of my scrapbook while you listen to it. 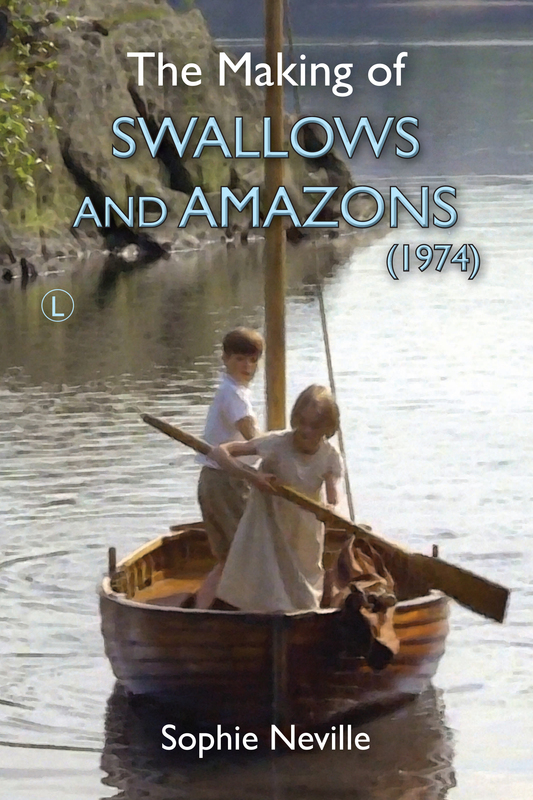 Like the film-score to Swallows and Amazons the orchestra was conducted by Marcus Dods. Some of these tiny photographs from the contact sheets that Richard Pilbrow gave us are fascinating.